Welcome to Orange County Hypnotic Center! Established in 1978, Orange County Hypnotic Center located in Orange County, CA. is a leading provider of hypnotherapy services for stress and anxiety, weight control, smoking cessation, overcoming fears and phobias, improving study habits, and correcting compulsive behavior. We’re proud to be one of Orange County’s most trusted sources for hypnotherapy. As numerous research studies have proven – Hypnotherapy is extremely safe and amazingly effective. At Orange County Hypnotic Center, we use innovative and proven Hypnosis techniques each and every day to help people to quit smoking, lose weight, manage stress, conquer fears, manage pain, and improve their performance. For most people, Hypnotherapy is the best way to reach goals faster and easier. It’s non-invasive and really truly relaxing, not stress producing at all – our clients walk out of the door feeling so much better! We strive to always do everything we can to help people and that’s exactly what Hypnotherapy does. It improves vital aspects of one’s life and not just that, for many of our clients, it is actually a life changing experience. Join the many people who have discovered the power of Hypnotherapy for life changes that last. 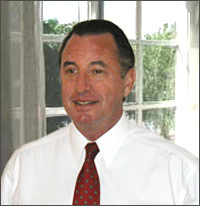 Bob Foy C.H.T., is a certified hypnotherapist with 33 years of clinical experience. His clients are from all walks of life and many have been referred by physicians and satisfied customers. Using professionally proven techniques, he has helped people manage stress, conquer fears and phobias, quit smoking, change eating habits, enhance study habits, and correct compulsive behavior. “I am very happily writing this letter of recommendation at this time for Mr. Bob Foy, a hypnotherapist I have worked with here in Orange County for the past 15 years. Bob is a very competent hypnotherapist and has helped many of my patients in various health problems, especially helping patients quit smoking.